Established in 2013, Roadplan offers architectural and engineering services. We design roads, conduct expert assessments and prepare traffic safety audits. It is important to us that our work is of the highest quality and the project is safe, sustainable and visually pleasing. In order to achieve the established goals, we involve all of the necessary parties (including landscape architects) in the project, to ensure a solution that has been thoroughly analysed, takes into consideration every detail, is safe and fits in with the surrounding environment. It is important for our team to develop along with the field and to use innovative solutions in order to provide ever improving results. Our clients can rest assured that we guarantee the quality of our service and, if necessary, we will also advise the client during the construction phase. We were awarded the title of “Best Entrepreneur 2013” at the competition organised by the Tartu City Government. In addition, Bisnode has upgraded our credit rating to AAA, the highest possible level. We have been a member of the Estonian Association of Architectural and Consulting Engineering Companies since 2013. The aim of the EAACEC is to protect the interests of end-users by establishing quality requirements for construction work. 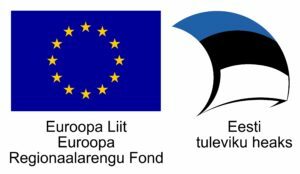 In 2016, we received a creative industries export grant from Enterprise Estonia in amount of EUR 49,999.32. The project was funded by the European Regional Development Fund and is aimed at improving the export ability of Roadplan through the exporting of our services into selected target countries. We are awarded the title of “Best Entrepreneur 2013” at the competition organised by the Tartu City Government.